Love KB and what I saw of this series! Didn’t make it as far as FDR; your post reminds me to finish the damn show (men are not prisoners of fate, but only prisoners of their own minds). It is a LONG series! 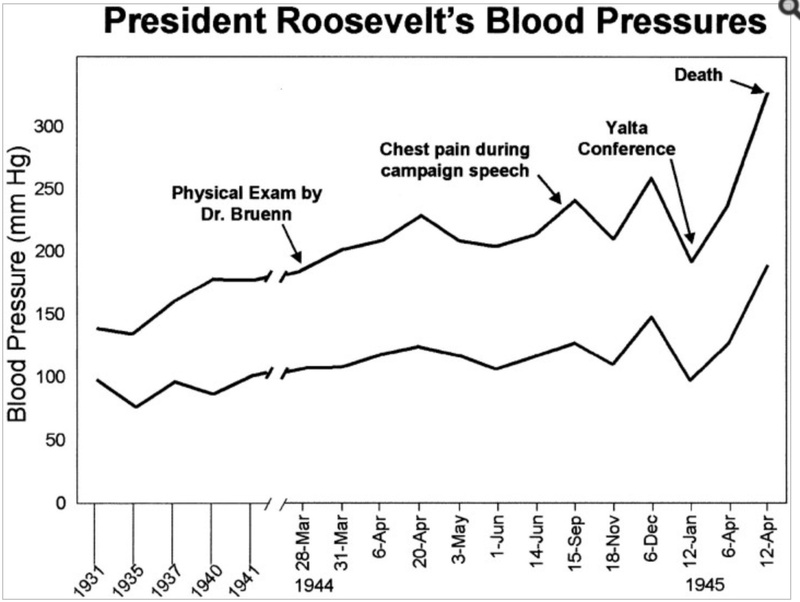 And FDR is nowhere near as interesting (except heart-wise) as TR. It was an interesting series that Burns produced. And your post puts FDR’s fate in perspective very neatly. Even if he had the best physician in the world who made the diagnoses of hypertension, MR, and CHF, his treatment options were limited at the time, as you point out. The technological advances in the late seventies and early eighties just exploded. It was just bad timing for FDR. Another great blog. That is interesting. Chances are if the child had been born after 1960 it could have survived.